The Indian team celebrates the taking of South African wicket during the Ist day of the first cricket test match at Newlands Stadium in Cape Town, South Africa. The Indian team celebrates taking the first South African wicket, delivered by Bhuvneshwar Kumar who removed Dean Elgar. 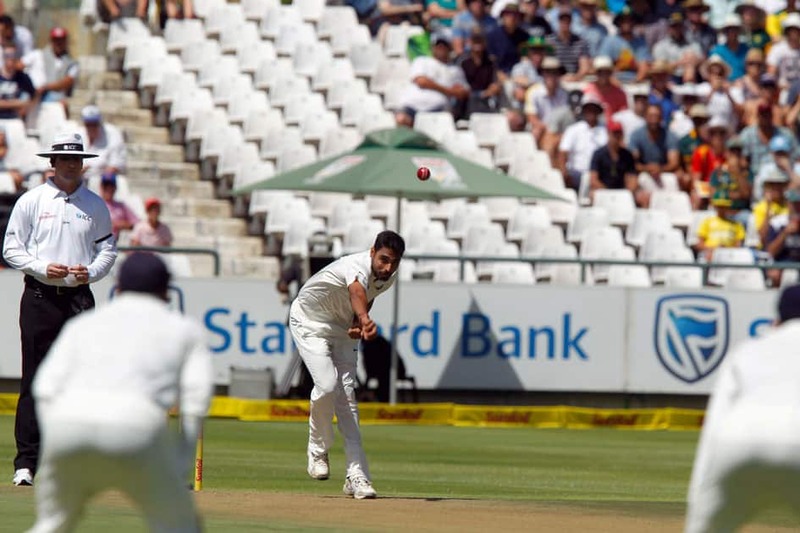 Indian fast bowler Bhuvneshwar Kumar in action during the Ist day of the first cricket test match at Newlands Stadium in Cape Town, South Africa. Bhuvneshwar Kumar in action during the first day's play. 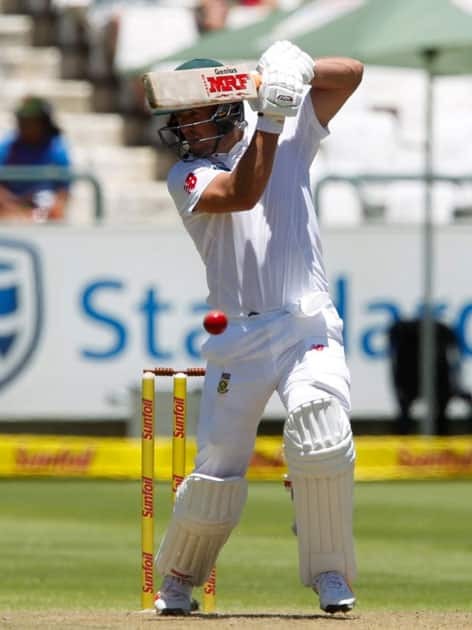 AB de Villiers plays a shot against India during the Ist day of the first cricket test match at Newlands Stadium in Cape Town, South Africa. AB de Villiers plays a shot during his knock of 65. 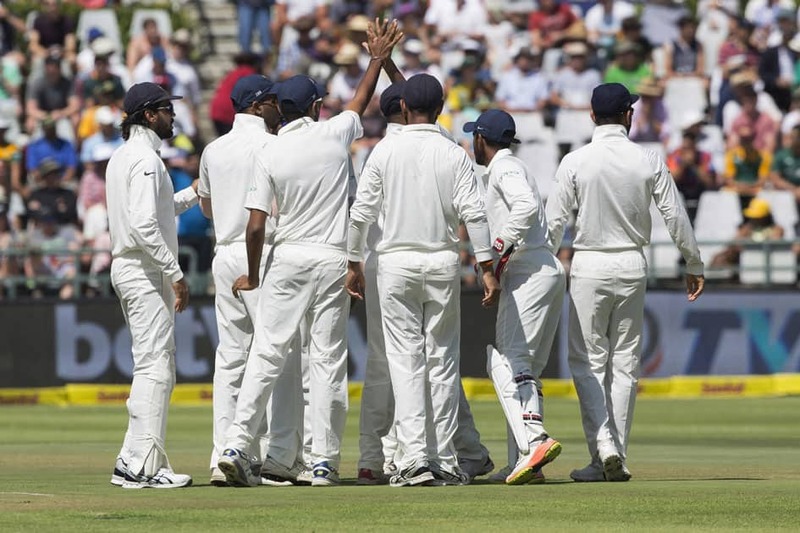 The Indian team celebrates the taking of the first South African wicket during the first over on the first day of their first day test between South Africa and India at Newlands Stadium in Cape Town, South Africa. 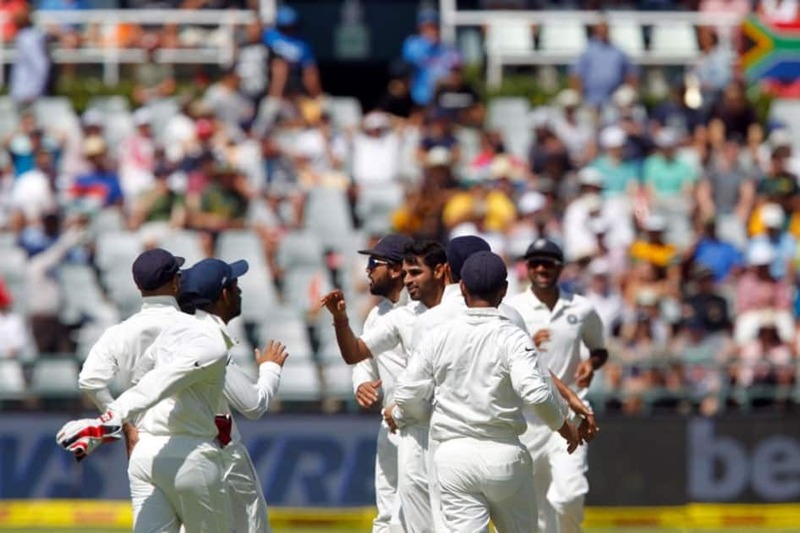 The Indian team celebrates the first South African wicket, delivered by Bhuneshwar Kumar as he dismissed Dean Elgar. 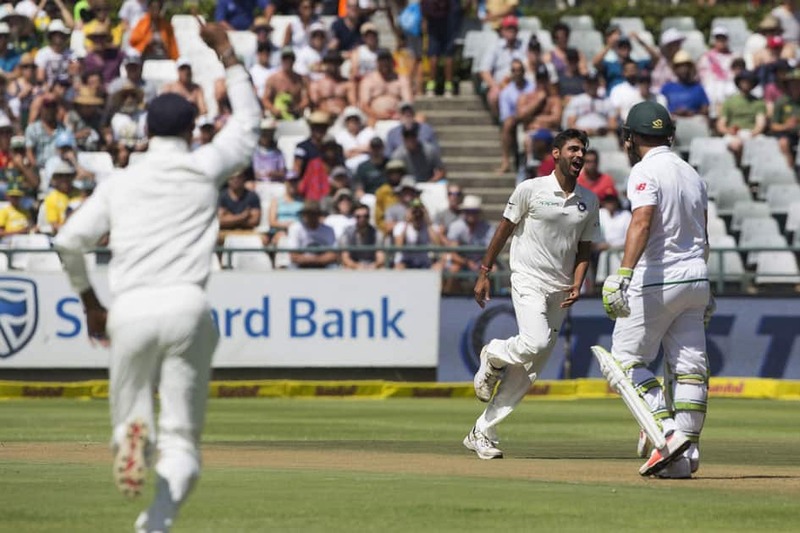 Indian fast bowler Bhuvneshwar Kumar takes the wicket of Dean Elgar of South Africa in the first over on the first day of their first day test between South Africa and India at Newlands Stadium in Cape Town, South Africa. Bhuvneshwar Kumar takes the wicket of opener Dean Elgar in the first over on the match. 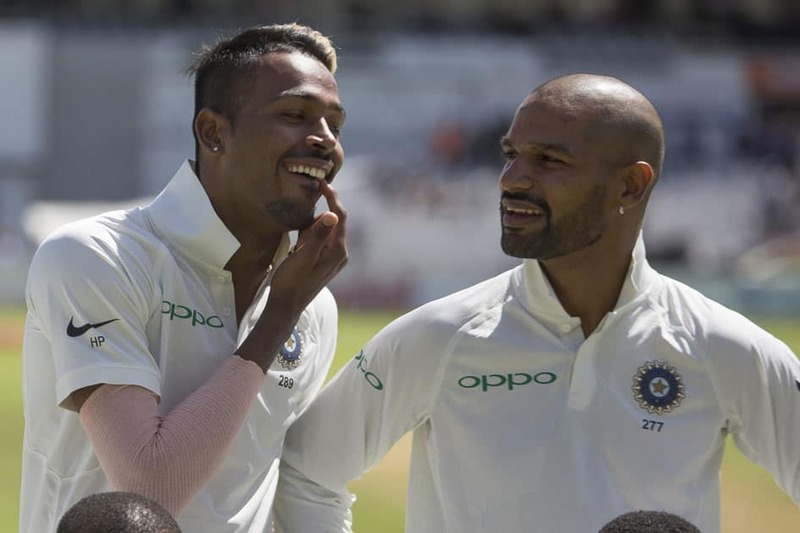 India bowler Hardik Pandya checks his teeth ahead of singing the national anthem before the first day of the first test between South Africa and India at Newlands Stadium, in Cape Town, South Africa. Hardik Pandya checks his teeth ahead of singing the national anthem before the start of play at Newlands Stadium, in Cape Town.